perfectly warm when the snow falls. riding your horse or walking in the snow. 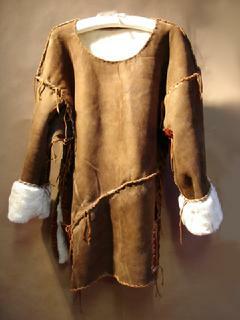 Sized ~Small, Medium, Large ~ $1,500. Stomp the snow in the tallest, stylish boots of the West. 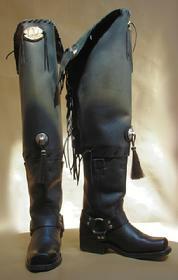 Redesigned leather boots with an "Old Western Flair"
from the era of World Renown Buffalo Bill's Wild West Show. a concoction you want to own. They are fun to wear! Limited size run, call for remaining size inventory.